The growing demand for more functional apps has resulted in widespread interest in Mobile App development, especially amongst independent and freelance developers. Today, our world is a Digital Sphere, where keeping in touch with friends across boundaries is no more a chore, and as the number of mobile apps keeps on increasing, so does our ability to perform difficult tasks. Gone are those days when you were satisfied with only having a mobile app. Today, it is important that the app must support Android gadgets, iOS, Windows Phone, Amazon Kindle, Tabs, BlackBerry, etc. Of course, as a business, you require dealing with different types of customers who possess different types of devices. Therefore, you’d need to have a mobile app that could work seamlessly on almost all the platforms (i.e. Android, iOS, Windows, etc.). 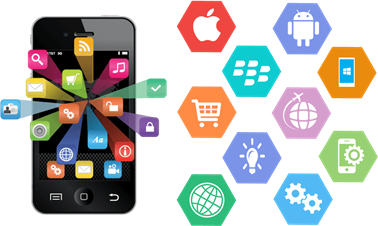 Hence, as a Mobile Application Development company, we have a dedicated team of Android App developers who have the skills and the expertise to create stunning applications to fulfill the client need. The user’s first impression is based on the UI/UX of the application. Hence we design Android apps with user-friendliness in mind. We test the Android Apps extensively to make sure they are bug-free and best quality apps before releasing them to be launched on the Google Play Store. Even mobiles apps need to be updated very often. This is usually due to an update in the Android OS; which makes it essential to update the app. Hence, we also provide the service & support of android app modification & maintenance.